I caught up with Lecretia tonight as I often do: over FaceTime from another city. This time it was me calling her from our home in Wellington, back to where she is with her parents in Tauranga. Although we’re busily making arrangements to maximise our time together, sometimes our circumstances require us to spend our evenings in different places. It’s never easy when we’re apart. I don’t know how we’d cope with these separations without things like FaceTime or Skype. 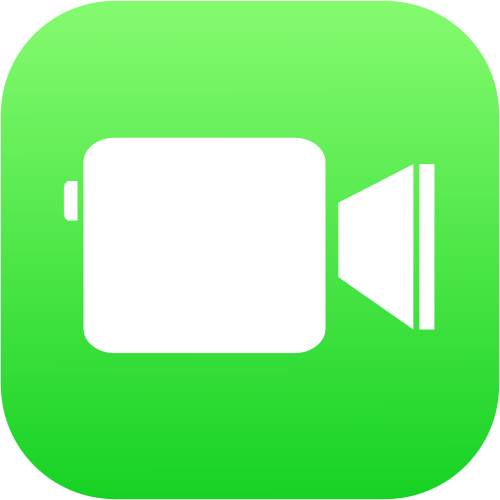 It’s strange to think that video communication was still uncommon as recently as five years ago and now it’s everywhere. It’s brought us all closer together, and yet it in a funny way it hasn’t, too. Lecretia appears to be doing okay, but the thing about video calls is that it’s hard to tell. Recently I was in Canada for a week and I video-called Lecretia most nights, and I got the impression that things were normal. However when I finally came home to see her a week ago it was clear that things had changed. She was a little less steady, a little more vague – a subtle deterioration that in person was obvious but was unnoticable in the compressed and transmitted version of her that met my gaze from behind a pane of glass. That glass lets a lot through, but obscures a lot too. What it shows is a flat image and the illusion of depth, something open to interpretation. What it hides is the true nature of that depth – the person that casts the image. Seeing Lecretia over FaceTime from Canada, I didn’t want to see any change. I saw what I wanted to see. When I got home, the change in Lecretia’s condition was impossible to ignore. There’s a pane of glass right now between you and me – and that acts as a form of separation too. It’s easy to close the window, to click the next link, to dispel the image. To think you understand and then forget all about it. I wonder how many people who read the articles about my wife and question Lecretia’s motives on some intellectual or theoretical basis would revise their view if they could step through the frame and meet her and see her in person? Or meet or see someone in similar circumstances? To me only someone completely detached from the reality of Lecretia’s situation could expect or want her to suffer needlessly and against her will. I want to reach through the glass and find empathy with those people: to help them see that behind it there’s a real woman here with me, with her own hopes, dreams and disappointments. And that she has a big heart. I hope this blog helps. Pleased keep writing – I find your insights regarding what Lecretia is going through to be so helpful and I am sure it helps others to see what is going on so much more clearly than if you did not write – keep up the good work. Thank you Matt. Beautifully written with such love for Lecretia. Love to you both. Bless you guys. My heart goes out to you. Circumstances have put me in your corner, yet I do have a comment, designed to encourage you. 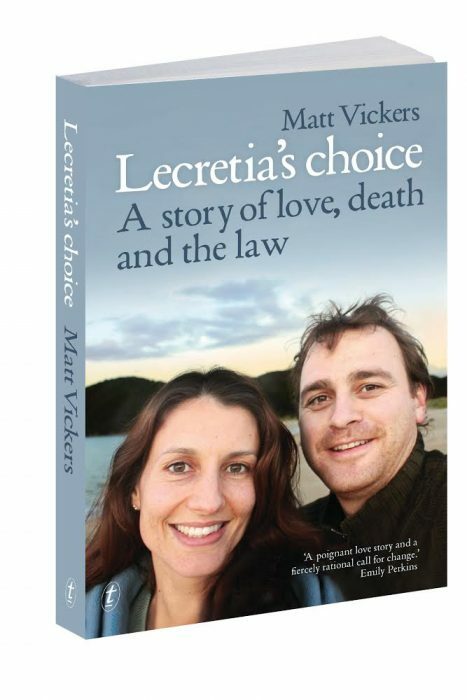 I just saw a reader’s comment that a law change may help Lecretia to find peace. That is not where peace will be found. Enough now, my friend. The awareness that you sought to create has been created. Take your privacy now, spend each minute together, and rest in the knowledge that your work on this is done. Many people are loving and thinking of you, and praying for you every day. I am one of those. That is such a beautifully worded portrayal of your experience, much love, I can’t think of anybody better suited than Lecretia to represent this cause, it is so amazing what she iz willing to do for others despite her own health nedds, she is a beautiful woman and comes from a loving family, I agree with you totally and I hope there is change while it will make a difference for your lovely wife or she will gave peaceknowing she has started something so worthy and needed. Shirley (our wonderful accountant) – thank you for alerting us to this site. Matt – you write so beautifully – thank you for sharing. Lecretia – we’re with you 100% and totally support you in taking on the establishment – thank you for everything you’re doing to get the law changed. Many years ago you came to one of my yoga classes in Tauranga, with your Mum. Sorry – it wasn’t the best of experiences, because it was cramped, crowded and one of my students fainted… (not you or Shirley thankfully!) I’m now working as a librarian and wreaking less havoc on poor unsuspecting souls. With love and hugs to you all – Namaste & Kia Kaha. Sunita & Dave.